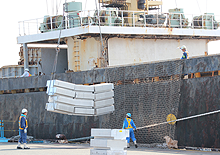 Your imported products will be delivered to any domestics destinations you need by our import team. We are supporting you to import any kinds of products to Japan with our overseas subsidiaries. 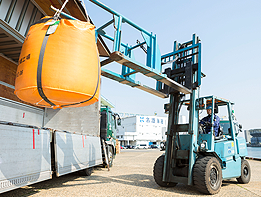 Especially, the volume of imported grain to Nagoya handled by us has been bigger than any other operators. Discharging grain from vessel, arranging storage, and packing is what we always do. The detailed and precise service with highly maintained operation is being offered to any importers. Shortened lead time and cost reduction will be achieved by our service. Since we have been based in Nagoya, Central Japan area, where the world famous manufactures are active, we naturally have kept doing business with those product-manufacturing customers. Segregation, location control, and just-in-time delivery have been arranged by us to make your lead time shorter and your cost being reduced. 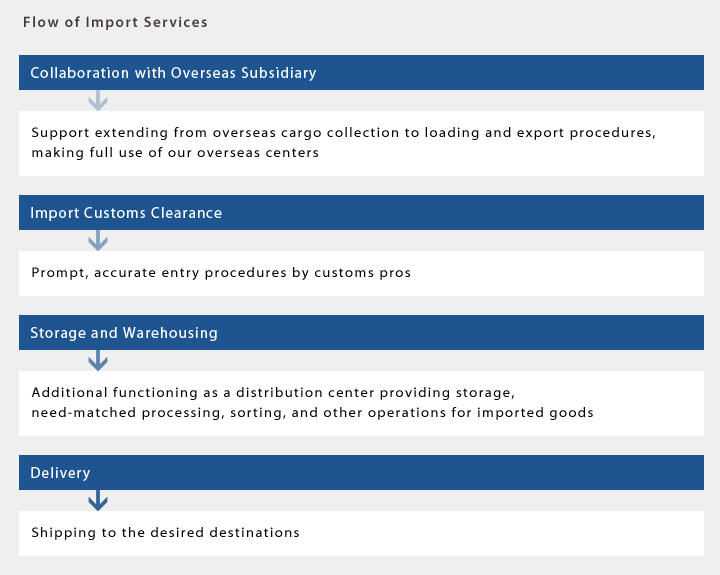 As a result, the global supply chain management can be achieved by our service. We are able to offer and arrange the door to door service to our customers by making good use of our asset and hardware. 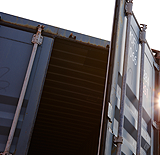 In addition to the reliable overseas network of ours, sufficient number of truck, container chassis, and own vessel for domestic ocean carriage are the reasons why we are able to offer reliable import service.